During the last few decades, congestion has become a major challenge in Indian Cities. Not only in India but cities across the world face severe challenges of congestion, and these cities have built extensive road infrastructure to cater to the growth in motor vehicles but were unable to curb congestion as the transport infrastructure was designed from supply side perspective rather than that of the demand side. This affects the effective capacity and performance of the city roads and encourages more and more usage of private cars! The worst part is that most of the Indian cars at the moment run on ICE technology and hence there are a lot of issues regarding air quality as the emissions of these vehicles are tremendous. India is currently the fourth largest emitter of greenhouse gases (GHG) in the world. The transport sector accounts for 13% of India’s energy related CO2 emissions. Electric mobility seems like the most doable option to tackle the problems of air pollution. There is a vast network of public and private infrastructure and assets that are not utilized to their maximum capacity due to reasons like scheduling, systemic inefficiencies, repair requirements, cultural norms of ownership etc. Similar issues can be explored in public transit, railways, roads, inland waterways and more. Although, in a utopian scenario, usage of green public transport is highly encouraged, and with policy reforms electric public transport shall be seen running at high efficiency but looking at the past trends, can cars be ignored? If not, then how does the issue of inefficient asset utilization of cars be taken care of? Aren’t single occupancy vehicles (Any fuel type) a setback to efficient utilization of assets? Even if electric mobility is implemented on ground, if we don’t encourage a mode mix, there would always be the problems leading to congestion. Hence, even if the fuel is clean, it would not result in seamless and smooth connectivity. A simple way to utilize the resources that we have efficiently without making massive infrastructure and financial promises is by maximizing asset utilization. Some of the classic examples of shared economy where maximum asset utilization takes place are aviation industries, credit card machines, and mobile towers business where multiple users can use a single platform. The sharing of economies could include multiple ways in which it could improve assets, particularly in the electric mobility segment such as site sharing. Operators share the same physical compound but install separate infrastructure. Passive sharing is usually defined as the sharing of space or physical supporting infrastructure, which in this case could be grid operators and charging infrastructure service providers. Fixed assets basically refer to infrastructure in urban transport systems which are not mobile and are in a designated space. There are many parts of fixed asset utilization. Studies show that on an average the car sits in the parking for 95% of the time! Fleets of cars needs to be in operation most of the time. If an electric vehicle is utilized to maximum capacity, like electric buses and cars 24*7 especially when mobility demand is high, then parking spaces could be turned into additional lanes, further increasing throughput. For the maximum benefit and profitability of the electric vehicles, charging infrastructure can be a great example of sharing in terms of fixed assets. These charging stations could cater to the needs of multiple needs based on charging technology, battery type, vehicle type etc. so that they cater to various groups from one single site. For transportation, mobile assets namely identify vehicles including all modes such as private vehicles, public vehicles and non-motorised ones which has all fuel types included. It is a problem for both private and public vehicles, that where the average maximum carrying capacity of a car and a bus is 5 and 60 respectively, both are highly underutilized, especially for cars. The vehicles kilometres traveled is another aspect to mention the asset utilization of a vehicle. The government is encouraging the use of electric public transport and get its maximum benefit, however, not much attention is given to the utilization of private vehicles particularly in the case of cars, even though they are increasing at an alarming rate. For electric mobility, public transport is the best form of shared economy. And when it comes to private vehicles shared or on demand services are a great example of mobile assets that would not only help in cleaner air, but also reduce the issues of congestion and bottlenecks due to on street random parking. It is important to track and monitor data to attain high performance of city-based assets such as electric vehicles and parking performance, in this case with proper real-time GPS data, and ensure that the optimum and maximum utilization is achieved. Information regarding electric mobility for passengers could help in increasing the ridership in green electric buses tremendously when proper information is provided which helps the customers to make decisions for their travel journey. How can we achieve maximum profitability in Electric mobility? Innovative Business models can be a great and effective way to utilize an asset to its maximum level. Examples of ride hailing companies such as Ola and Uber have shown results in which due to carpooling or ride sharing, the vehicle is utilized to its maximum level and also reduces the number of cars on the roads freeing up space for other activities and users and solves parking problems, as it gets very less time to sit at the parking and removes bottlenecks on roads due to on-street parking. Shared infrastructure , particularly from the charging stations of the electric vehicles point of view, has a great role in using an asset to the maximum level. A charging station that has the facilities in terms of plug points and other such utilities usable for all modes, all types and all companies can be an efficient way to convince people to switch to electric vehicles without worrying about things like where to charge or who is responsible for this infrastructure. 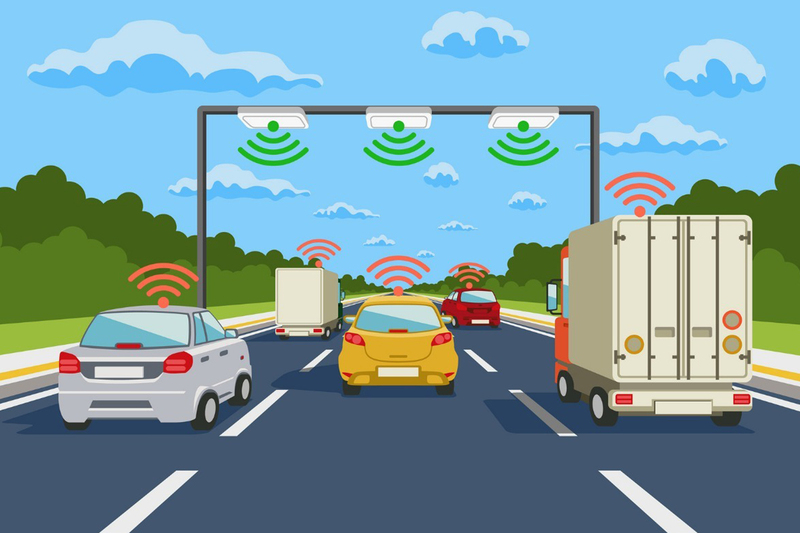 Hence a single infrastructure can be used by multiple users which is a great way to taper down on the costs especially of acquiring land for such infrastructure when it comes to adopting new technologies like electric mobility. The government has a major role in making sure that these business models and innovative ways and measures can be used and adopted in a wide way and proper implementation regarding the same can be done. In terms of policies, projects and measures it has a lot to offer over the course of time to encourage and enhance such initiatives for any kind of asset, and particularly for electric vehicles. It also needs to learn from success stories as well as failed attempts as to why it did not work and be more careful.